As far back as I can remember, I have had a vested interest in the origins of my own family. 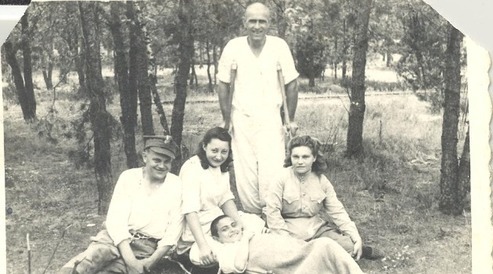 Much of this interest stems, quite understandably, from the fact that I grew up hearing my maternal grandmother’s accounts of pre-WWII growing up in Warsaw, spent in the company of her large, extended family. My grandmother and her younger sister would discuss and even debate various aspects of their former lives, which had taken place in the vicinity of Isaac Bashevis Singer’s Krochmalna, Twarda, and Marszalkowska Streets. Sadly, practically all of these individuals were murdered in the Khurbn, or Holocaust, and there was little more than my grandmother’s tales and the names of these individuals – certainly no documents or photographs – to provide a voice to these lives that had been cut short. This led me to ask questions about long-gone family members and to draw up family trees from around the age of 10 onward. Indeed, now that my grandparents and great aunt are no longer alive, family members often come to me with questions regarding family names, dates of birth and death, and related matter, because they know how greatly I have always valued this type of knowledge. By this same token, I find myself captivated by other people’s family histories and have, in this context, perused many Yisker bikher (or memorial books of destroyed Jewish communities in eastern Europe). Yisker bikher generally provide vignettes regarding individuals from pre-World War II local Jewish communities. Furthermore, they frequently include necrologies – name lists of individuals who were murdered in the Holocaust. For these reasons, these unique works are potential treasure troves for surviving family members seeking information about their long-departed relatives. Read an example of one of my Yisker bukh-based translations on the Jewishgen website. Because genealogical research and the Holocaust are such important and greatly intertwined entities for me, I can truly empathize with other individuals who are likewise, yearning to uncover more information about their family members whose lives were brutally shortened before their time. This sentiment was the driving force behind my recently uncovering a long-lost Yiddish article about a child survivor of the Holocaust and helping bring some degree of closure to this survivor and his son. Read my personal account of this amazing and bashert story in the Forward. Although I did not actually have the opportunity to meet Ms. Paltrow, I understand that since the airing of this episode, she has decided to raise her children in the Jewish faith. This is just one of the many accounts I have heard of individuals who have been drawn back to their Jewish roots – a phenomenon captured in Yiddish by the idiom, “dos pintele Yid” (lit. “the little point of a Jew”) – through the act of uncovering facts about their family history. Furthermore, it is a testament to the potential power of genealogical research! Face of Pre-War Poland. Photos, from top: The heir of the rabbi of Aleksandrow, Poland walks in Ciechocinek in the company of three Hasidim (taken by Menachem Kipnis), members of Warsaw’s Jewish Artists’ Association study the new American plays published in the Forverts (also taken by Menachem Kipnis), and Wacek Zalcberg, whose leg was broken during the Warsaw ghetto uprising, poses with medical personnel after WWII. The research I conducted for him brought closure to both him and his son. Used with permission.